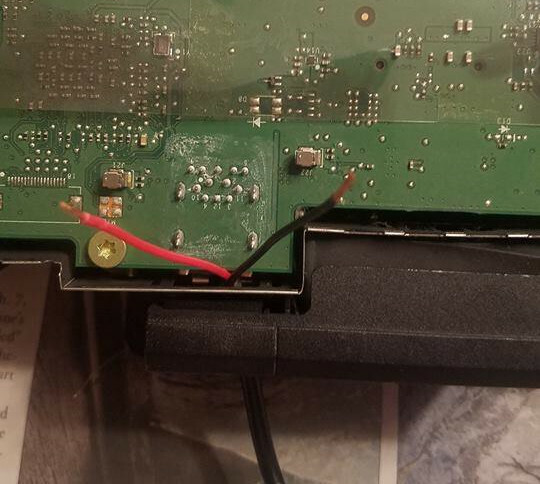 Buy an Xbox One controller and hack it immediately? That’s exactly what [tEEonE] did so he could merge it with a Simraceway SRW-S1 steering wheel. He loves racing games and was psyched to play Forza 5. He already had the steering wheel, but it’s strictly a PC peripheral. [tEEonE] wanted the wheel to control the steering, gas, and brakes and found both the XB1 controller and the SRW-S1 well-suited to the hack. For steering, [tEEonE] substituted the SRW-S1’s accelerometer for the XB1’s left joystick pot. He connected the X and Y to analog pins on an Arduino Pro. Then he mapped the rotation angles to voltage levels using a DAC and wired that to the XB1 joystick output. 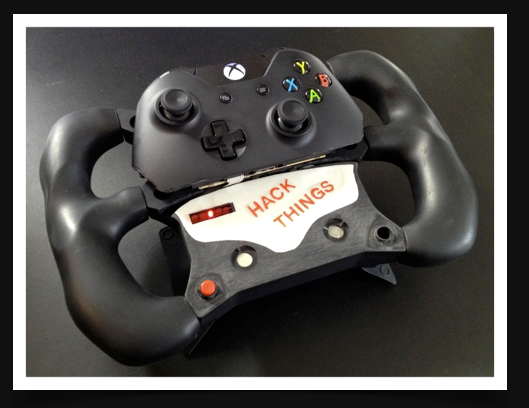 The XB1 controller uses Hall effect sensors and magnets on the triggers to control the gas and brake. He removed these and wired the SRW-S1 paddles to their outputs and the XB1 controller is none the wiser. He also rigged up a 3-point control system to control the sensitivity and calibrate the angles: a button to toggle through menu items and two touch modules to increment and decrement the value. These he wired up to a feedback interface made by reusing a 15-LED strip from the SRW-S1. 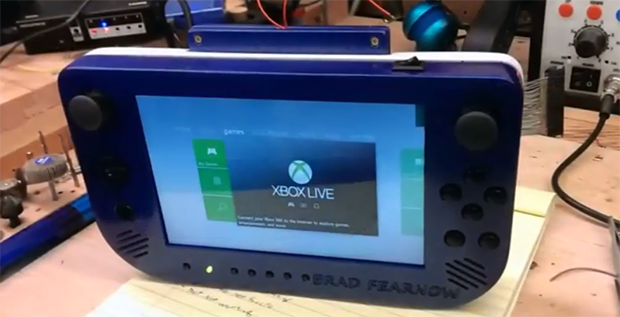 Finally, he had space left inside the housing for the XB1’s big rumble motors and was able to attach the small motors to the gas and brake paddles with the help of some 3-D printed attachments. Check out this awesome hack in action after the break. The controllers from the last generation of consoles served their purpose well. They were there for us when we wanted to experiment with an I2C bus, and they stood by when we wanted to build a quadcopter out of parts just lying around. A new generation of consoles is now upon us, and with them come new controllers. Controllers for which Arduino libraries haven’t been written yet. The horror. Until those libraries are developed, there’s ChronusMAX, a USB dongle that allows you to use XBox One controllers on a PS4, PS4 controllers on the XBox, mice and keyboards on both systems, and both types of controllers on your PC. The folks behind ChronusMAX put up a video demoing the XBox One controller working on the 360, PS3, and PC, with another video showing the same for the PS4 controller. As far as what we can see from the PC demos, everything on these controllers can be read, right down to the accelerometer data on the DualShock 4. Although this is a commercial product, we’re surprised we haven’t seen a more open version by now. From the looks of it, it’s a very small device with two USB ports and a firmware upload utility. 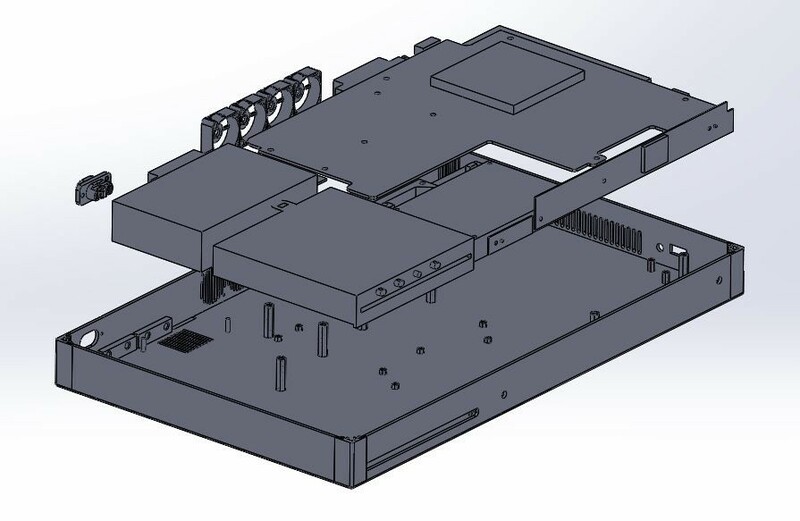 Microcontrollers with two native USB ports are usually encased in large packages, so there might be some very clever engineering in this device. Let us know when someone does a teardown of one of these. Thanks [Josh] for sending this one in.